Deep purple color. Interesting, curious aromas of single malt whiskey, mesquite, heather and honey, roasted agave, chocolate drizzled poached pear, and toffee coated walnut with a slightly chewy, crisp, fruity medium-full body and a polished, compelling, medium-length mole, sweet potato pie, and nougat finish with well-integrated, chewy tannins and moderate oak flavor. An off-the-wall Shiraz that will surprise and delight your guests. Bottom Line: An off-the-wall Shiraz that will surprise and delight your guests. 88 • Live-a-Little NV Really Ravishing Red, Western Cape 13% (South Africa) $8.99. 86 • Live-a-Little NV Really Ravishing Red Blend, Western Cape 14% (South Africa) $8.99. 87 • Pot de Vin 2015 Merlot, Vin de Pays d’Oc 13% (France) $12.99. 81 • Running Duck 2018 Rosé, Western Cape 13.5% (South Africa) $9.99. 88 • Stellar Organics 2016 Cabernet Sauvignon, Western Cape 13.5% (South Africa) $9.99. 90 • Stellar Organics 2016 Shiraz, Western Cape 13% (South Africa) $9.99. 87 • Stellar Organics 2017 White, Colombard, Western Cape 12% (South Africa) $9.99. 90 • Stellar Organics 2017 Rosé, Western Cape 12.5% (South Africa) $9.99. 84 • Stellar Organics 2018 Sparkling Wine, Western Cape 12% (South Africa) $12.99. 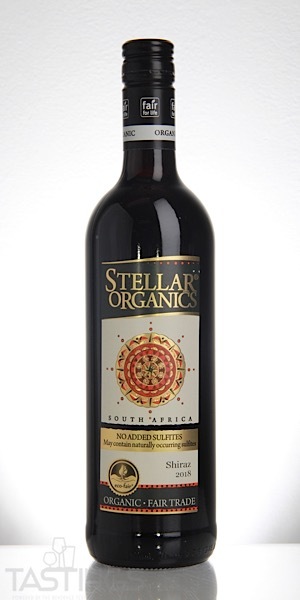 88 • Stellar Organics 2018 Shiraz, Western Cape 14% (South Africa) $9.99. 87 • Stellar Organics 2018 Cabernet Sauvignon, Western Cape 14% (South Africa) $9.99. 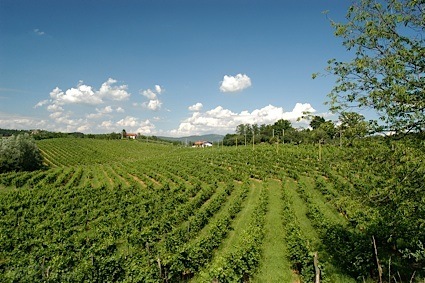 86 • Terra Viva 2015 Sangiovese, Toscana IGT 12% (Italy) $9.99. 89 • Terra Viva 2016 Sangiovese, Marche IGT 12% (Italy) $9.99. 91 • Terra Viva 2017 Sangiovese, Marche IGT 12% (Italy) $9.99. 84 • Vinecol 2015 Malbec, Mendoza 13.5% (Argentina) $11.99. 86 • Zeroincondotta 2016 Barbera, Piemonte DOC 14% (Italy) $12.99. 87 • Zeroincondotta 2017 Barbera, Piemonte 14% (Italy) $12.99. Stellar Organics 2018 Shiraz, Western Cape rating was calculated by tastings.com to be 88 points out of 100 on 10/17/2018. Please note that MSRP may have changed since the date of our review.